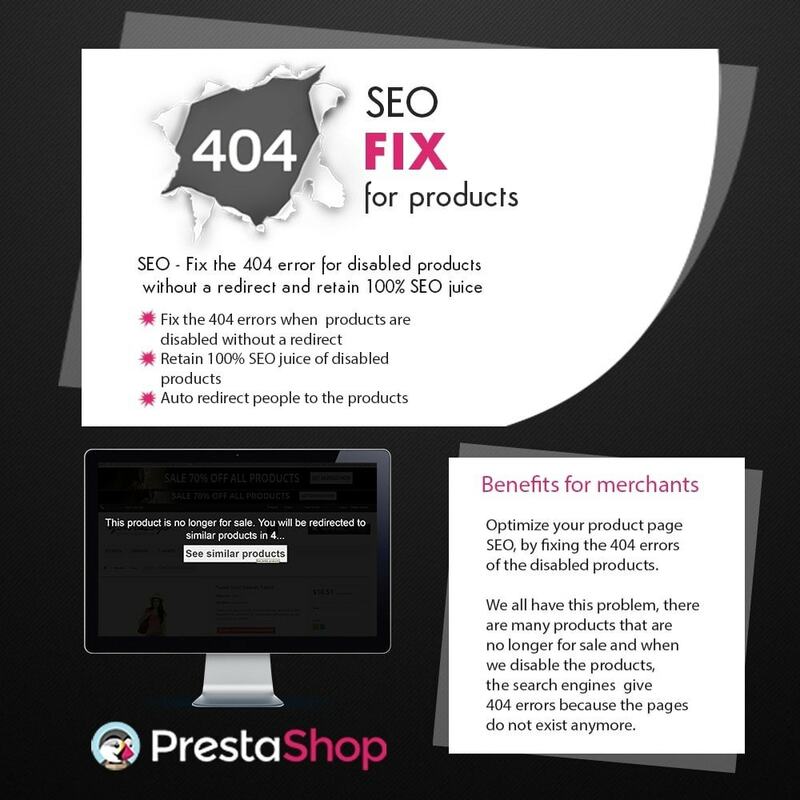 Optimize your product page SEO, by fixing the 404 errors of the disabled products. 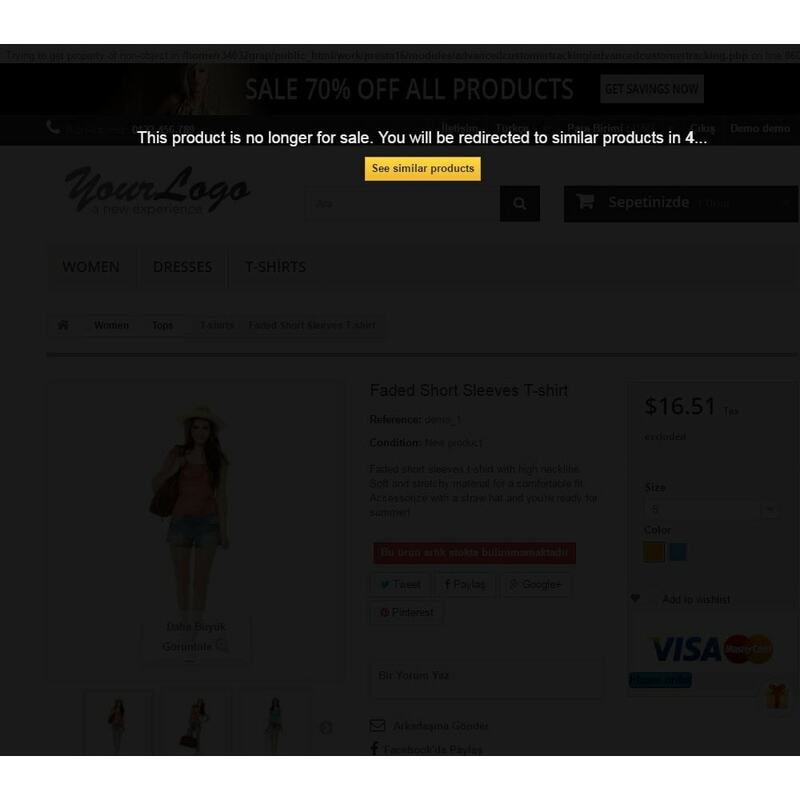 We all have this problem, there are many products that are no longer for sale and when we disable the products, the search engines give 404 errors because the pages do not exist anymore. There are 301 alternatives that redirect to the parent category, but it's confusing for the user and it does not retain 100% SEO juice. 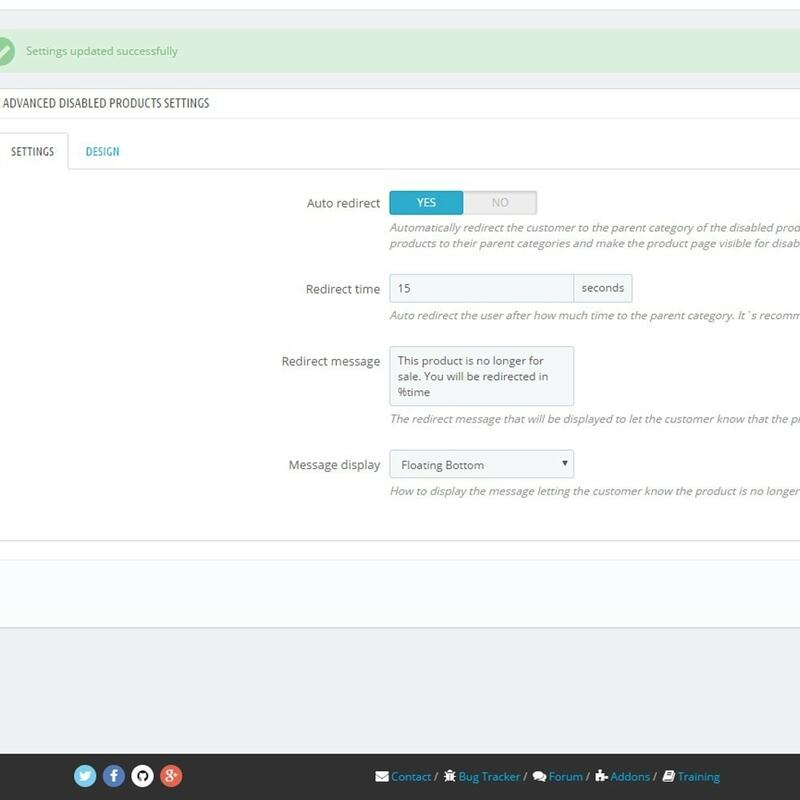 With this solution, you will be able to retain 100% or your page juice, redirect the user to the main category after a time of your choosing and best of all, the user will know exactly what is happening. 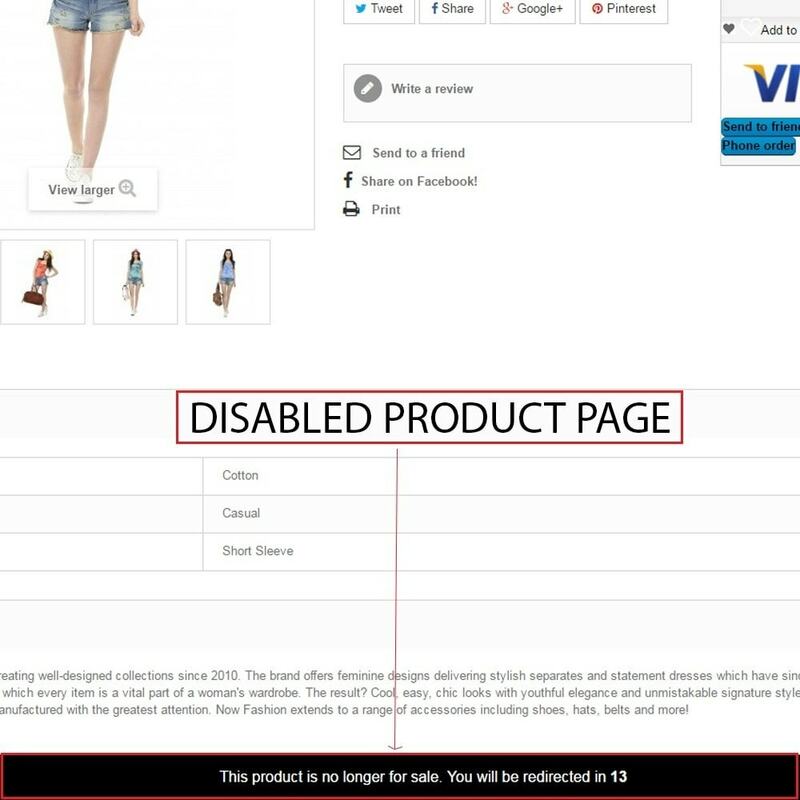 Disabled products detail page appears as any other page but with a custom message that tells the customer, the product is no longer for sale. 4. After the installation & configuration, disable all the products and check if everything is setup as you require. "Enable Disabled Products Override" - If you wish to turn on this module, make sure this is set to YES. "Auto redirect" - If you wish to automatically redirect the user after a period of time, make sure this is set to YES. 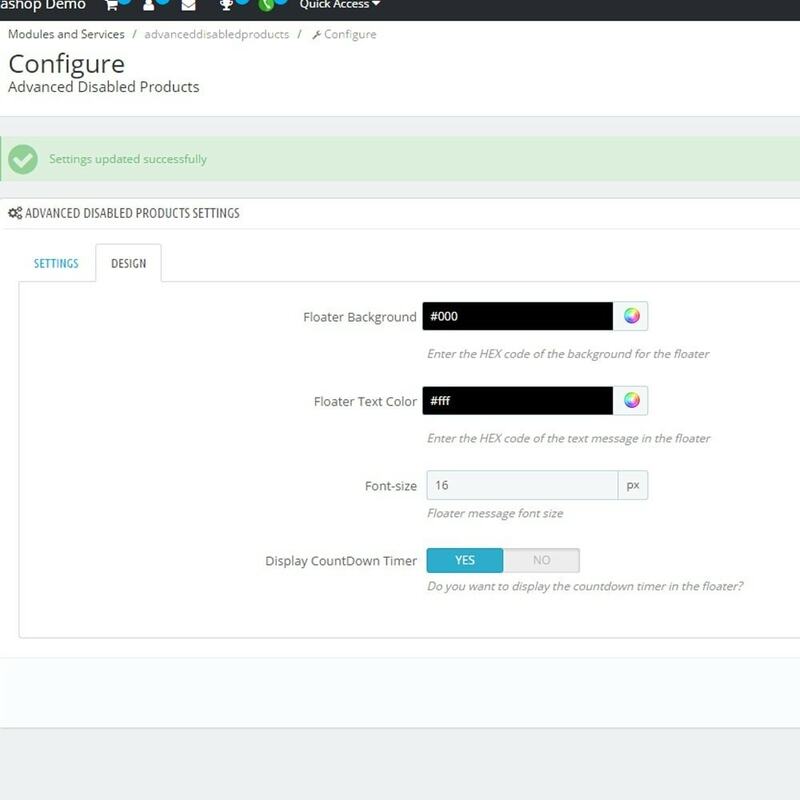 In the design tab you can configure colors, font-size, etc.